Matt Tyrnauer's thrilling and definitive documentary captures the delirium — and the dark side — of the legendary New York disco. Three nights only! 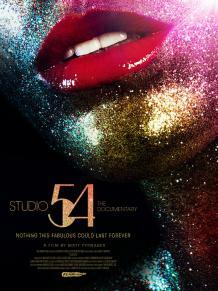 "There’s a memorable moment in Studio 54, Matt Tyrnauer’s thrilling and definitive documentary about the fabled disco haven, in which the camera glides through the gilded lobby of the old theater the club was built in, approaching the doors, the beat throb-throb-throbbing in the muted distance. The camera then pushes through the doors and onto the dance floor, the music — it’s Sylvester’s 'You Make Me Feel (Mighty Real),' the greatest disco song ever recorded — now turned up and transcendent, and for a moment we feel like we’re melting into the elation of the writhing horde.